Yarn Type Aran weighted with a lovely crunchy quality. 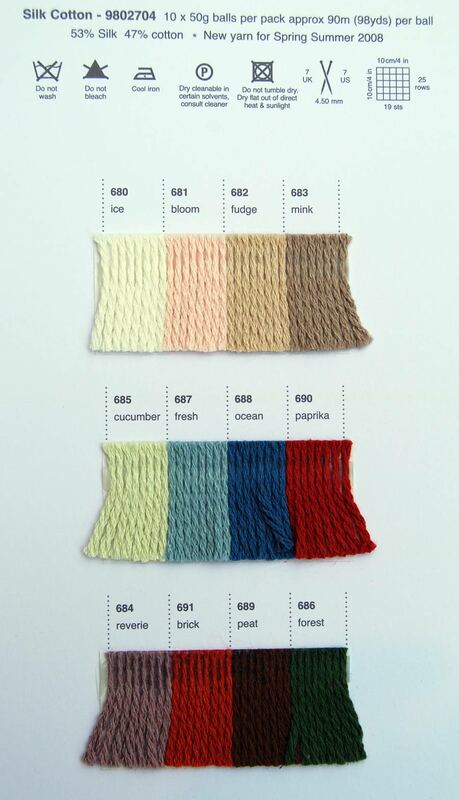 53% Silk, 47% Cotton. Dry Clean only.